Delayed cord cutting has great benefits for the baby and assists in their transition to breathing on their own. I have watched umbilical cords be left intact, by trusting midwives, until the placenta is released. This can take upwards of 30 minutes. During that time I can see the cord change from a rich thick purple cord to a limp white cord that is obviously not transferring any blood. How I know it is not transferring any blood is because the placenta is no longer attached to the mothers uterus. It is usually sitting in a bowl close to mom and baby. Completely hands off I can see that the cord is transferring oxygenated blood to the baby for longer then 2 minutes, which is what most care providers believe delayed cord clamping is. 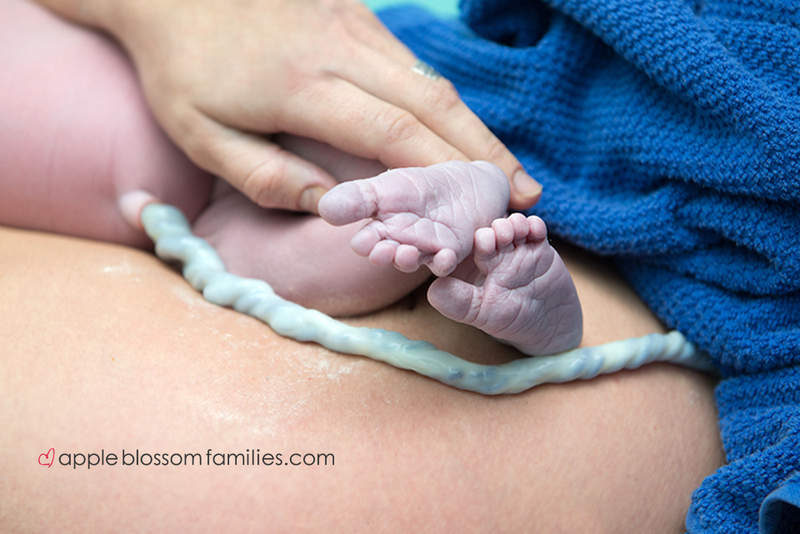 The image below is 45 seconds post birth, 12 minutes post birth and 23 minutes post birth, retrospectively.